New Music – Hype G & One Flow out of Westmoreland Jamaica.. 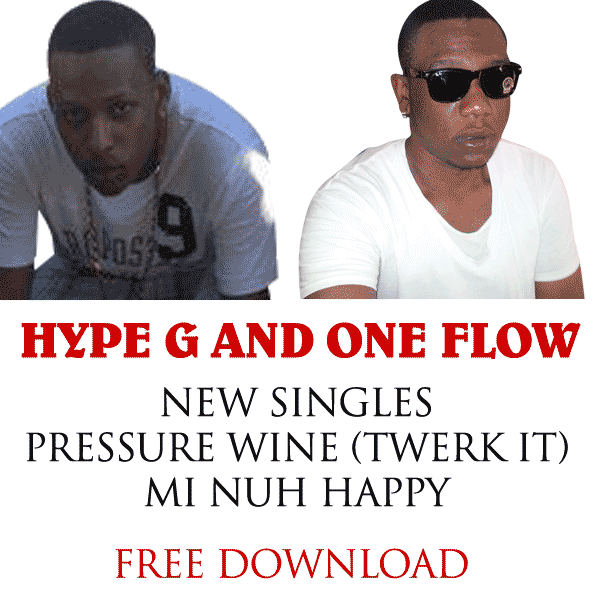 Check out these new songs from Hype G & One Flow Pressure Wine (Twerk It) and Mi Nuh Happy (Fallen Solja). Please comment and download.